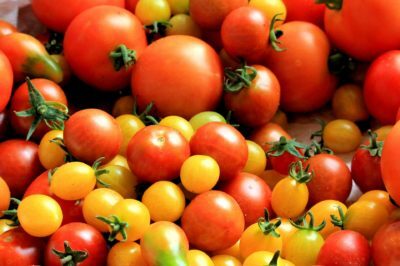 Let’s start at a special farm in the Bay Area that is growing organic fruits with an eye on sustainability. Al discovered an interest in growing olives after visiting a farm in Tuscany and spending his vacation helping with the harvest. 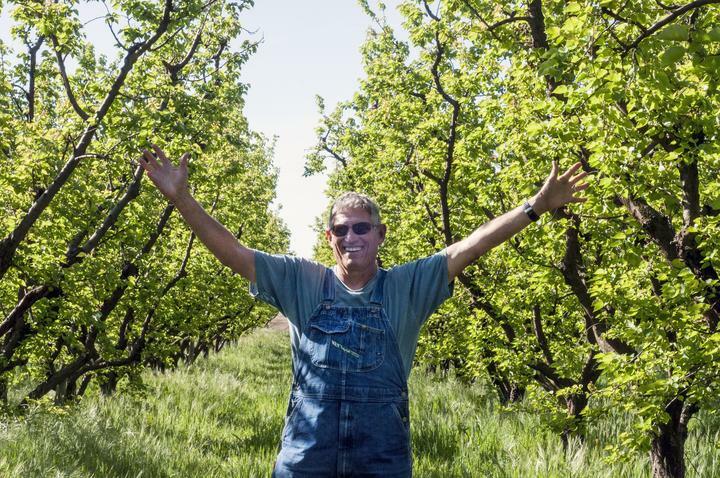 Frog Hollow Farm is now dotted with olive trees that line the roads and fill in the gaps between blocks of stone fruit trees. 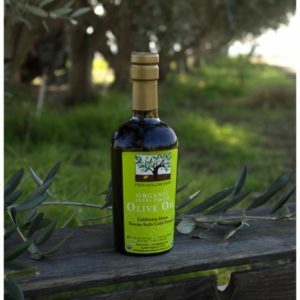 Approximately two acres are dedicated to olives, with 500 trees producing 800 gallons of olive oil a year (not just any oil – organic, estate grown, cold pressed, extra virgin oil). 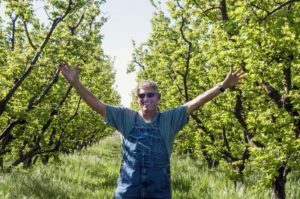 He credits the good soil and his home-made compost for his trees’ being “among the most productive trees that we’ve ever seen, anywhere in the world.” Although he hasn’t yet protected his land, Al thinks farmland conservation is “the future of small farms in California.” We couldn’t agree more! California grows 95% of the olives in the US, with our great Central Valley boasting no less than 30,000 acres of the full-flavored little nuggets. 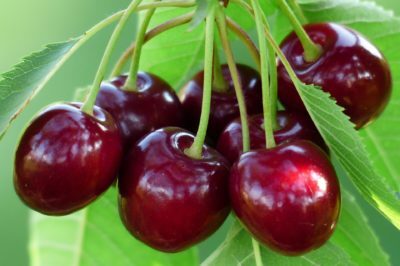 As one of the oldest domesticated crops grown by humans there is much to love about this special fruit – yes, it is a fruit. Traditionally olives are hand-harvested in late fall, but new varieties are allowing for tree shakers to release fruit from trees. Olives – we like them two ways – the fruit itself and the oil. Olives cannot be eaten right off the tree due to their naturally bitter flavor. 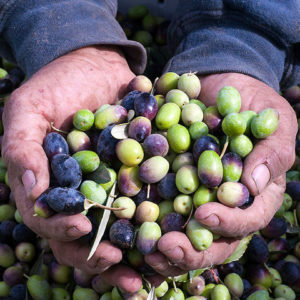 California producers most often use a curing process that involves soaking the olives for about a week in a lye-mixture to leach out the bitterness, rinsing thoroughly, and then packing in a mild salt brine. 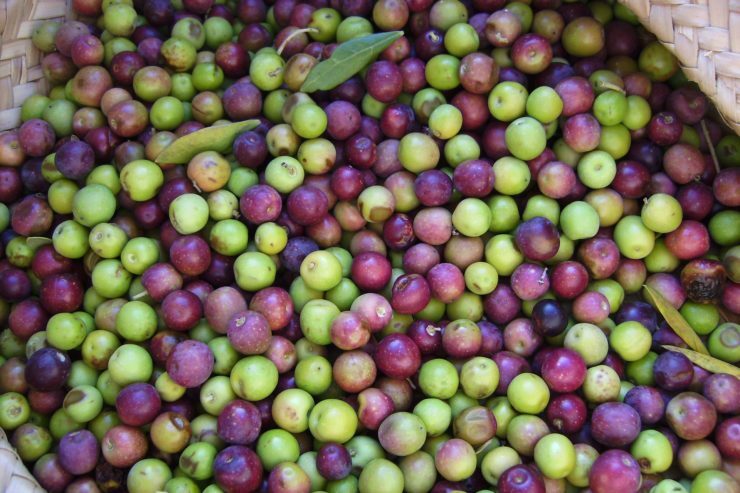 The oil: Extra virgin olive oil is essentially the naturally extracted juice from fresh olives. The olives are crushed into a paste, and the oil is physically extracted from this paste without the use of chemicals or excessive heat. Simply put, extra virgin means that the oil is made only from the fresh juice of olives, and that it tastes good without the use of chemicals or solvents. And that’s a good thing – because it’s good for you! Fats are one of three macronutrients essential to human life and make up a large part of our bodies. 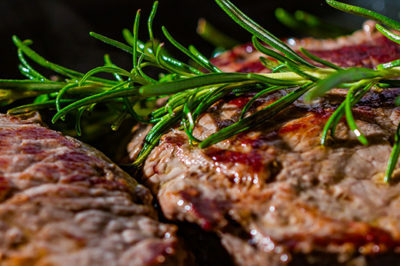 We wouldn’t be able to absorb vitamins A, D, E or K without fat in our diets. Healthy fats, such as extra virgin olive oil, can even help you fight stress, improve mood swings, decrease mental fatigue and can actually help you manage your weight.